Glamping Trailers uniquely restored and decorated in funky retro cowboy themes, complete with every amenity to make you feel right at home. Our fully stocked kitchenettes are a blast from the past. 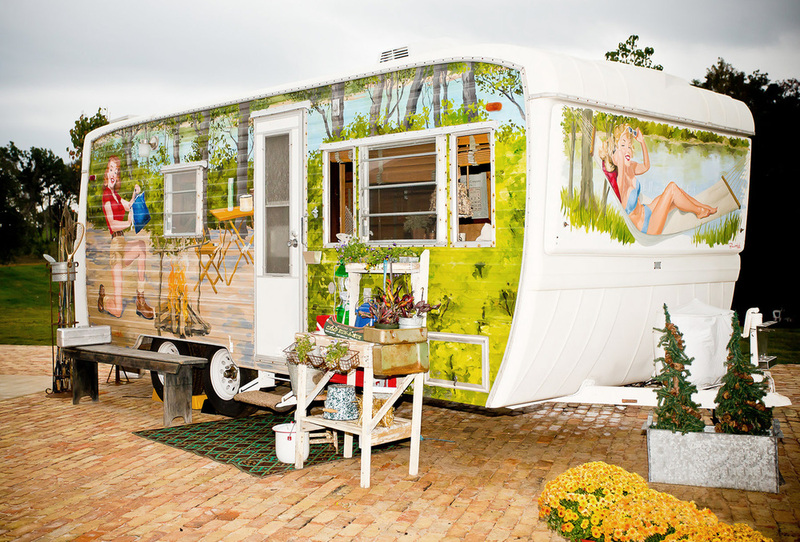 Each one of our Glamping Trailers is uniquely decorated with funky cowboy and retro themes, complete with every amenity to make you feel right at home. After a long day of rootin’ around Rowdy Creek Ranch, kick of the old boots and nosh on some tasty scooby snacks in our air conditioned and heated campers. You can also make all your friends jealous, as you post about your stay with our free wi-fi! Each trailer is has it's own distinct personality. Some of our Trailers have been featured in National publications.